The Good:The director and Forrest Whitaker, one of the producers, do exactly what they intended to do with this. Their goal was to make you feel for the main character Oscar Grant, and it's very difficult not to empathize with him. The portrayal of the character seems fair and balanced. He wasn't made out to be a purely innocent guy who happened to run into a tragic situation. Instead he had his pros and definite cons. 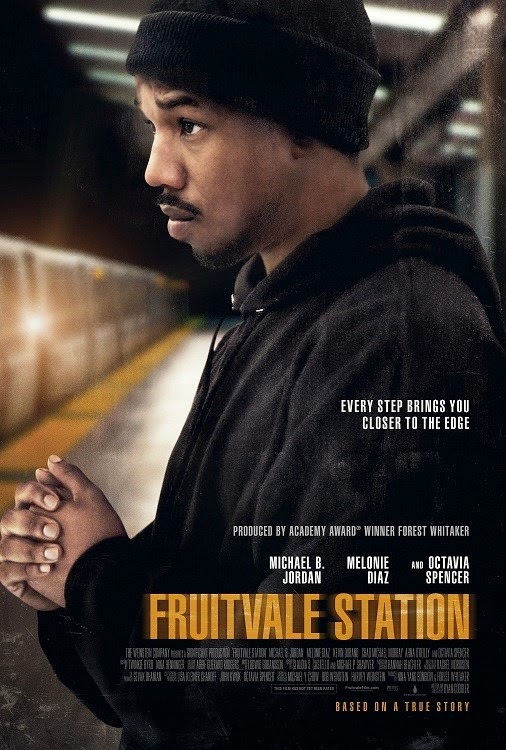 Michael B. Jordan does a stand up job because throughout the entire film, you didn't see Michael playing the character Oscar...you just saw Oscar Grant. The supporting cast also came across as "real" people. From the loving mom, to the girlfriend, to Oscar's friends, to even the aggressive police officer in the station...each of them made you believe in their characters and helped the movie appear authentic. The Reason: After leaving the theater, I was pissed, sad, and almost a little teary eyed. The rest of the audience left the theater in a solemn silence, as if it was funeral. It's difficult for me say anything "bad" about this movie because it's based on a true story. I can't say that Michael's portrayal of Oscar was corny or off because, well we don't know who Oscar was as a person. For all we know maybe he was a loving father, and son. We just have to go with what's given to us. Besides that, this movie really hit close to home with me on a personal level. As a black man, with locs, I couldn't help but think that I could have easily been in a similar, and unavoidable, situation just like Oscar. Having a daughter also didn't make it any easier for me either. This film comes out at a possibly convenient time after the Trayvon Martin vs George Zimmerman trial, and definitely brings to light what many would consider a major injustice in our judicial system. Should this be seen in the theaters? I will say that if the trailer seemed even remotely interesting in any way, then yes, go see this. I didn't regret paying a dime for it, and I'm sure this would be a good rental too. Prepare for an emotional ride. This is a movie that will be hard not to talk about without some emotions arising.